According to celebrity hair stylist Harry Josh, we’ve been shying away from voluptuous hair in favor of the natural, limp-looking tousled hairstyle. However, when considering Kate Upton and Kate Middleton, the more voluminous look is back, meaning hot rollers are also back. However, for those that travel, hot rollers can be a struggle to pack and manage. Choosing the right set will keep you looking glamorous on the go. It is important to consider what to look for from voltage to size, from casing to weight, so here are some tips for how to decide on your brand of hot rollers for travel. Why Not Just Take a Curling Iron? Curling irons may seem like a far more convenient tool to use on the go. A curling iron, with its long, thin shape, can usually fit more conveniently into a side pocket or snugly into your suitcase than a hot roller set. While this is the case, curling irons have high, direct heat that when placed straight on the hair, can do a great deal of damage. Frequent use of a curling iron will cause the moisture in the hair to evaporate, leading to brittle and damaged hair that appears frizzy or breaks off. Hot rollers do heat the hair but they do not apply direct metallic or ceramic heat. This means that they do not create the scorching effects of curling irons, protecting the hair from damage. Sofia Vergara’s stylist Ward Stegerhoek points out that hot rollers can create far more variance in style than curling irons can. On the go, if you're looking for big bouncy curls, tight ringlets, or a little volume with straighter styles, hot rollers can achieve this far more easily than a curling iron can. This means you only have to take one tool traveling rather than a variety of flat irons, curling irons, blow dryers, and brushes, saving space in the long run. When looking for a hot roller set, there are a few features that you want to keep an eye out for to make sure you are getting a great deal and an excellent product. Firstly, as you are searching for a travel item, make sure that they have dual or universal voltage. If they do not have this feature, you may not be able to use your hot roller set abroad, unless you know that the country you’re traveling to using the same voltage as you use at home. The second aspect you want to consider is versatility. When traveling, you will want to create varying styles with your hair. So try to find travel hot roller sets that feature differentiating sizes of rollers. This will enable you to create a plethora of styles from extra-bouncy curls to small, tight ringlets. Make sure that each set has at least 8 rollers; otherwise it will take you far longer to style your hair if you have to switch rollers out. In terms of size and weight, you should be looking for a set of hot rollers that is lightweight and compact. Bear in mind the casing when you consider this, as the rollers themselves may be lightweight and small, but the case that holds them can take up a lot of room. Consider the shape of your luggage, as you may find that a squarer casing is more suitable than a longer, thinner rectangle, or vice versa. Try to look for something that fits inside a vanity case, about 4-5 inches in size. Now let’s get into some of the best travel hot rollers on the market today. 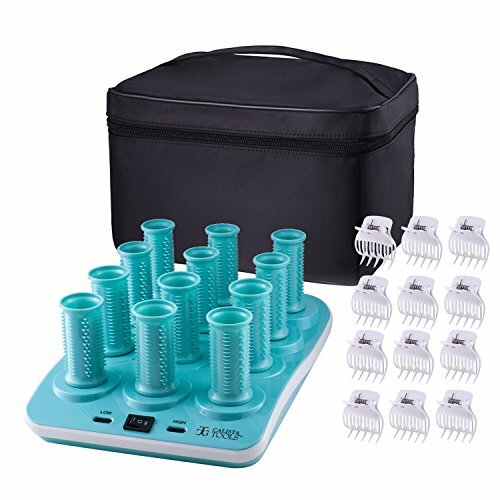 Featuring 10 rollers in two sizes, this color-coded set of travel rollers features worldwide voltage and a conveniently flexible carry case, making them easy to travel with anywhere around the globe. The kit weighs 1.2 pounds. 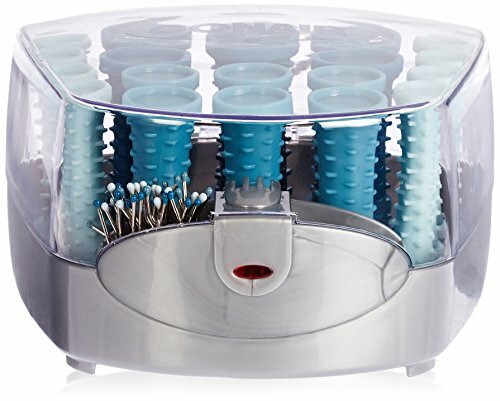 This set of rollers uses ionic technology to protect the hair by counteracting the positive ions of heating by emitting negative ions, smoothing the hair and preventing frizz. 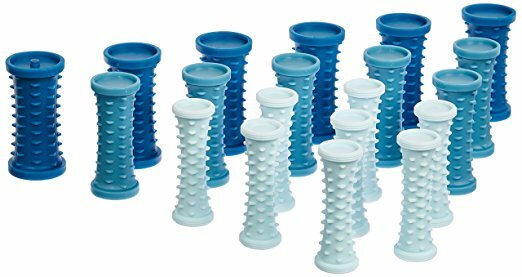 Featuring a unique J-Clip, these rollers grip the hair easily without creasing it. 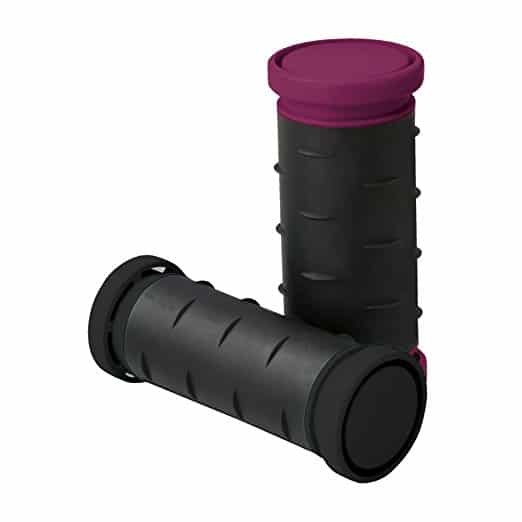 A relatively small and flexible travel case, these rollers feature cool-touch ends to prevent the user burning their hands. This set is very lightweight. They are extremely well priced and come with a 2-year warranty. Equally, the clips are a little short, making it harder to keep the hair bound to them while curling. Some customers have complained that the clips break easily, meaning they would need to be replaced when traveling; this can be inconvenient. "They give you amazing hair - salon-ready hair for just a fraction of the price." Designed to create voluminous, bold curls, these extra-large heated rollers come in a carry case with dual-voltage for traveling abroad. The kit weighs 1.9 pounds. 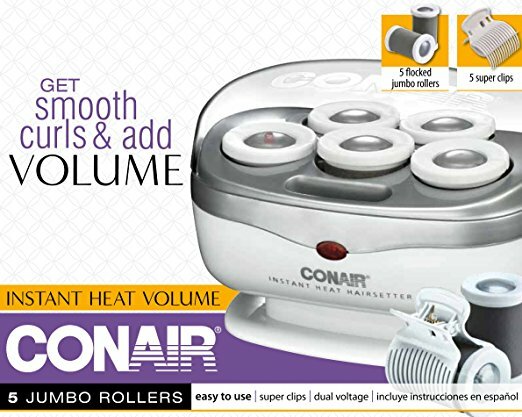 These heated rollers get hot very quickly, making them convenient on the go. They also feature super-strong clips which help to keep the hair bound to them for speedy curling. The flocked texture on the rollers prevents heat damage to the hair and at only 6 inches, this set is compact enough to travel with. They are also relatively fairly priced. This set only features one size of roller, giving looser curls. There are only five rollers in the set, which means it can take longer to curl your hair if you need to switch them out. This set is on the heavier end of the spectrum. The case is solid which prevents flexibility when packing and only come with a limited 1-year warranty. "You end up with a ton of gorgeous volume"
Designed to create looser, more natural looking curls, this bubble-design heated roller set features ten color-coded rollers in a convenient, flexible carry case. The set weighs 1.7 pounds. This set is extremely compact, making them perfect to travel with. The butterfly clips are very strong, keeping a tight hold for more convenient curling when moving around. The different size and bubble effect means that these rollers suit long and short hair, as well as allowing versatile styling. This means that if traveling with more than one person, you would only need one set. This set is awkward to use at first and some customers complained that they felt heavy in the hair. Since they are difficult to get used to, they often cause ridges in the hair. In terms of traveling, while small, these are still on the heavier side. These are on the more expensive end of the scale. "I really like that this is tree-shaped so that'll make it not so uniform as well"
This varying-sized set of 12 heat rollers is a versatile tool. It features adjustable temperature, heat-protection technology, and a convenient carry case. 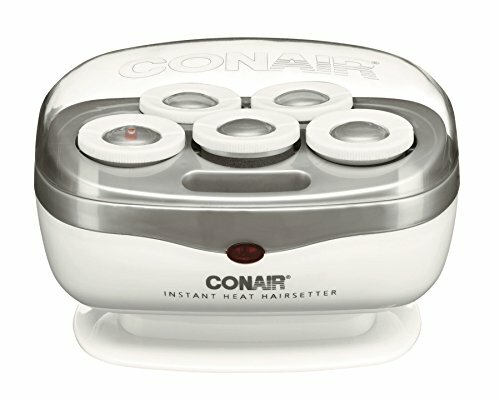 These heated rollers come in three sizes, to create flexibility in styling. The ion technology helps to create sleek, smooth hair and protects it from heat damage. Each roller is infused with minerals and vitamins to create healthy, shiny hair. They come with a two-year warranty. Despite coming with a luxury carry case, this set is not suitable for traveling abroad as it does not feature dual voltage. Also, it is extremely heavy and is relatively large in size. Some customers complained that they do not stay in fine hair well. They are also quite highly priced compared to other models that are more suitable for traveling. "This will give your hair so much more volume and they're just really cute curls!" 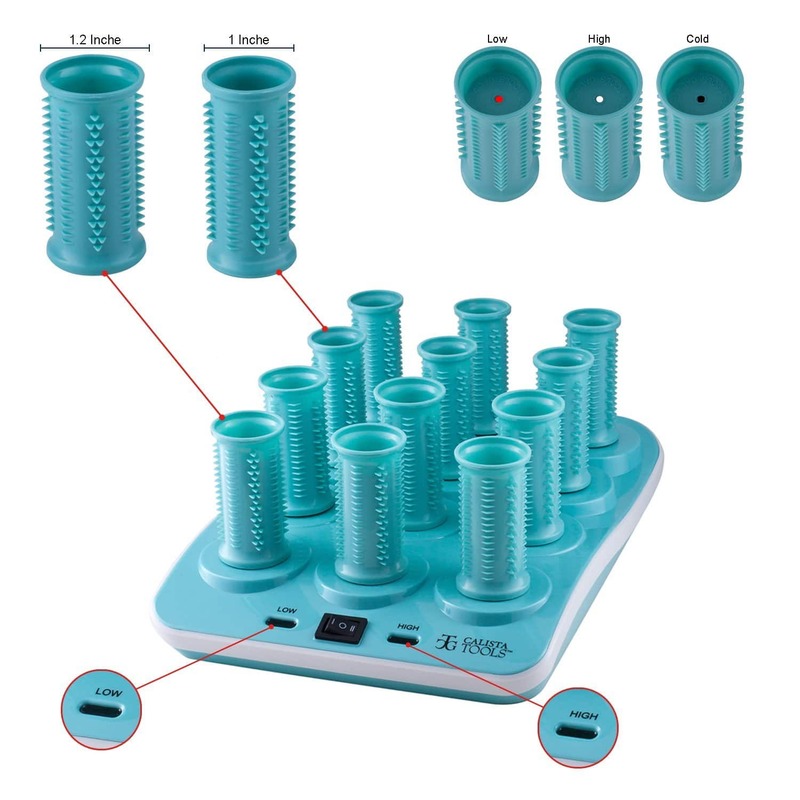 This set features 20 tangle-free rollers in three different sizes. It also has color-coded clips and a compact case. The rollers are 8.4 inches and the entire kit weighs 2.9 pounds. This set comes with a dual-heat feature that uses ceramic technology to heat quickly. With dual-voltage, these rollers can be used worldwide. Relatively small in size, they are pretty easy to pack. Customers have complained that sometimes the setter gets so hot that the rollers melt into the rack. In terms of traveling, they are kind of heavy. Finally, although the case is compact, it cracks quite easily. "This is an awesome product, great for everyday!" When traveling with hot rollers abroad, it is important to remember to bring your plug adapter. This will ensure you can use them wherever you are. To make sure you're not taking up too much space, try to find the correct adapter for the country rather than using a big, bulky, universal adapter. Most brands of hot rollers are international, so if they break while you are away, you can usually find a place to return them or replace them. However, to do this you must be carrying your warranty card. Pack this inside the case of your hot rollers so you do not forget it. For quicker curling on the go, try carrying some form of styling spray with you. If you use a heat protection spray which doubles up as a holding spray, you will find that you need to carry fewer products, giving you more room for carrying your hot roller set. Using hot rollers can be a kinder way to curl your hair, as they do less damage than the direct heat that your hair is exposed to when using curling irons or flat irons. When traveling, hot rollers provide the versatile styling opportunities that mean you do not need to bring a huge variety of tools. However, making sure to choose a set that has capabilities to be used abroad and takes up as minimal space as possible will make you a far more effective traveler who can style on the go.